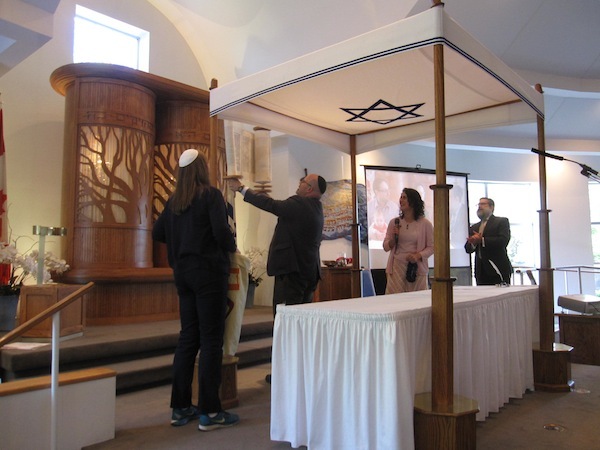 Rabbi Dan Moskovitz raises the newly completed Torah as, left to right, Cantor Naomi Taussig, Rabbi Carey Brown and Rabbi Moshe Druin look on. Gratitude and community were the words of the afternoon, as the combined blast of several shofarot brought the excited crowd to order. Project co-chairs Anne Andrew and Jerry Lampert offered their thank you’s to all those who helped with the project that began in October 2014, including more than 100 volunteers working more than 1,200 volunteer hours. Siyum co-chairs Kevin Keystone and Marnie Greenwald added their appreciations, while also explaining the logistics of the upcoming parade of the Torah, to be headed by the band Balkan Shmalkan. At each table, there were photos of those who inscribed a letter in the Torah. 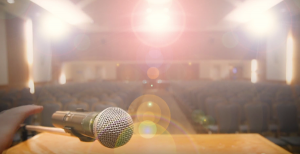 Alex Konyves led two groups of kids in song, Rabbi Carey Brown told a short story about letters as prayer, and synagogue president David Schwartz spoke of the many impacts of the project on the congregation. “I am very pleased to report,” he added, “that we have raised to today over $336,000. We’d love to make our double-chai goal of $360,000.” A scroll of dedication will be created and those who make a dedication before June 1 will be included on it. The klei kodesh – Moskovitz, Brown, Cantor Naomi Taussig, Rabbi Philip Bregman, emeritus, and Cantor Arthur Guttman, emeritus – then joined the congregation in a responsive reading. 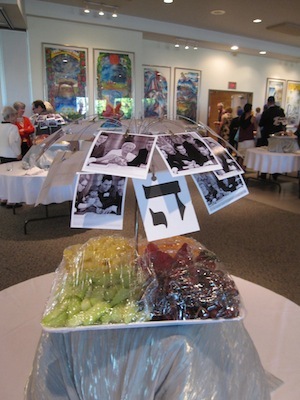 Prior to the ceremony, Moskovitz and Druin, who had just arrived in Vancouver, went to the Louis Brier Home and Hospital to scribe the Torah with the congregation’s most senior members. Moskovitz also shared that the Torah’s rollers, its mantle and wimple were created by congregation members Michael Kliman, Leni Freed and Julia Bennett, respectively. “This Torah belongs to all of us, on so many levels,” he said. 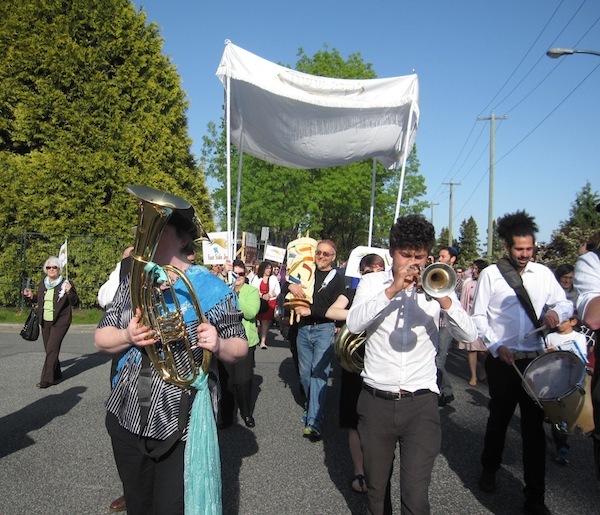 During the parade, led by the Balkan Shmalkan band, the Torah was carried by many different congregation members. In this photo, Henry Grayman is holding it. Just as there was a lottery for the first six letters of the Torah, there was a draw for the last six – each representing a decade of the synagogue and one for the next generations, explained Moskovitz. After the Torah was completed, it was dressed and paraded north along Oak to 54th, east for a bit, then a “legal U-turn,” as per Keystone’s instructions, back the synagogue to take its place in the aron kodesh. For more about the project, visit templesholom.ca/were-writing-a-torah.